The 9th leg of the Diamond League series takes place Thursday evening in Lausanne, Switzerland. The meet offers a number of events worthy of “star-studded” status, but 6 events will be watched with particular attention. 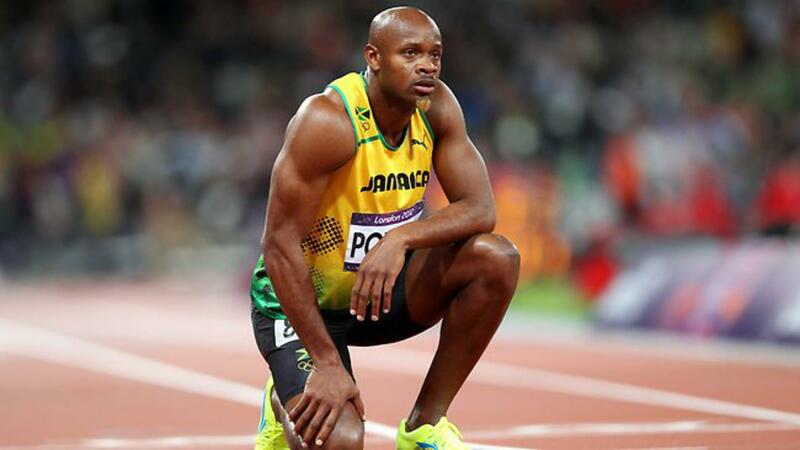 The 100m plays host to a building rivalry, as Justin Gatlin faces off against Asafa Powell and Tyson Gay. The race possesses an element of conflict after Powell’s remarks in yesterday’s press conference, where the Jamaican sprinter was asked if he thought he could beat Gatlin, Powell replied “I don’t know who you guys think he is? Why not?”. The Men’s 800m and 5000m act as near previews of the upcoming World Championships in Beijing. The 800m field is filled to the brim with talent, providing a platform to showcase a battle between Rudisha, Amos and Amman, coupled with young Frenchman Bosse, these 4 men are responsible for 9 of the 10 fastest performances since 2010. With Rudisha finding form in New York, Amman and Amos running strongly in Eugene, the expert pacing of Bram Som may provide conditions for the first sub-1:43 clocking of 2015. The remainder of the field deserves mention, with Matthew Centrowitz fresh off running a new PB of 1:44.62 in New York, he will be keen to shave further time off his personal best, with major 1500m rival Ayanleh Souleiman clocking a world-leading time of 1:43.08 in Barcelona overnight. Ferguson Rotich Cheruiyot has been consistent over the past few years on the Diamond League circuit, he will be looking to improve upon his season’s best of 1:44.00, inching closer to his previous 1:42.84 personal best form. The enigma of this field is Kenyan teenager Alfred Kipketer, famous for a style of running that has involved splitting under 49 seconds for the first 400m, the 18-year old World Junior Champion may do well to sit back in this class field if he is to target his personal best of 1:43.95. This field provides a matchup distance fans have waited almost 2 years for outside of a World Championship environment, Ndiku vs Farah. Farah hasn’t raced the 5000m distance on the Diamond League circuit for 2 years, and the self-proclaimed “King of Swag” Caleb Ndiku is more than ready for such a contest, coming off an injury which required missing the first half of the European circuit, Ndiku was quoted recently by the Indo Asian News Service: “The Buffalo is in the forest and is soon coming out. I intend to bring back the 5,000m crown to Kenya where it belongs after it was snatched from us by Ethiopian runners and presently Mo Farah of Britain”. Ndiku is the charismatic distance running so desperately requires, appearing to win at will last season, comedically wearing a beanie during his World Indoor heat, only to reveal a bright red home-dye hair job for the final, Ndiku collected titles at World Indoors, Commonwealth Games and African Championships. Ndiku carries a hefty personal best of 12:59.17 over 5000m, the 22-year old Kenyan has also run 3:29.50 over 1500m, a level of speed many 5000m competitors lack when attempting to topple Farah in a last lap burn-up. Of the 22 men toeing the start line in Lausanne for 12.5 laps, 10 men have broken the 13-minute barrier, with a further 3 having run faster than 12:50, the likes of Alamirew, Edris, and Gebrhiwet head a strong Ethiopian contingent alongside 12:49 man Thomas Longosiwa of Kenya. Given Mo Farah has avoided racing since BBC News and ProPublica published allegations of performance-enhancing drug use inside Farah’s Salazar coached Nike Oregon Project group, the US-based British athlete will have a formidable task on his hands. His decision to race in Lausanne suggests a level of form and confidence must remain following recent media scandals, as if ever the highly-touted Brit was to suffer a confidence diminishing loss prior to Beijing from his Ethiopian and Kenyan rivals, Lausanne would be a frighteningly well-broadcast place to do so. The Women’s side of the Diamond League programme racing set to take place in the historical Swiss stadium, built in 1902, the Lausanne venue will play host to highly competitive Women’s 1500m, 3000m Steeplechase and 200m events. The Women’s 1500m main attraction lies in the capable hands of American Jenny Simpson, who will look to continue her streak of 4 Diamond League 1500m victories, which began in July of 2014 in Paris. Simpson faces staunch opposition from Siffan Hassan (3:57.00 PB), Hassan has finished no lower than 3rd in the 4 Diamond League 1500’s she has raced this year, also boasting the 2nd fastest time in the world this year (3:59.68). Notable contenders include Commonwealth and past World Junior champion Faith Kipyegon (3:56.98 PB), and the current World Junior champion Dawit Seyaum (3:59.53 PB), the only other woman in the world to run sub-4 this season (3:59.76). Honorary Aussie Susan Kuijken will also toe the start line, showing she can mix it with the best of both the 1500m and 5000m worlds, whilst Aussie Selma Kajan appears to be in charge of pacing duties for the field of 17. Acting as an added ingredient of sorts, Genzebe Dibaba’s run of 3:54.11 yesterday evening in Barcelona, the fastest since 1997, will have a number of competitors in tonight’s field particularly worried, if Dibaba decides to double at Worlds, even the likes of Simpson and Hassan will be required to make nervous plans to combat the immensely talented Ethiopian. The Women’s steeplechase centres around a battle between East-African and American talent, with US champion Emma Coburn missing the World Lead time by half a second in Eugene at the recent American Championships, winning by 8 seconds in hot temperatures, Coburn will be in search of another Diamond League victory. Women’s steeplechase has been “tactical” this season, with the current World Leading time of 9:15.08 the slowest since 2006, in-form Kenyan and Ethiopian athletes Virginia Nyambura (9:15.75) and Hiwot Ayalew (9:09.61 PB) will challenge Coburn, with Nyambura coming off Diamond League wins this season in Doha and Birmingham, and 2014 World Leader Ayalew winning in New York. Accompanying Coburn, the American contingent includes recent NCAA stars Colleen Quigley and Leah O’Connor, both of whom have graduated this year and signed to professional groups (Bowerman Track Club and Adidas respectively). Both Quigley and O’Connor have broken their personal bests a number of times this season, running 9:24.92 and 9:31.03, both women will be closely followed by Aussie Genevieve LaCaze, who has run 9:35 this season, returning to her pre-injury personal best form of 9:33.19. 200m and 400m runners around the world will no doubt watch Felix’s performance with baited breath, as a dominant performance over the shorter distance could sway Felix’s event planning in Beijing.